Setsubun literally means “division of seasons” and is derived from the old lunar calendar. 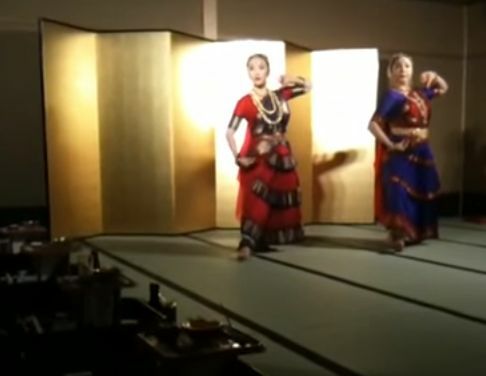 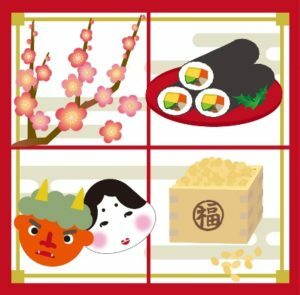 However,”setsubun” has now come to mean the day before the beginning of spring only. 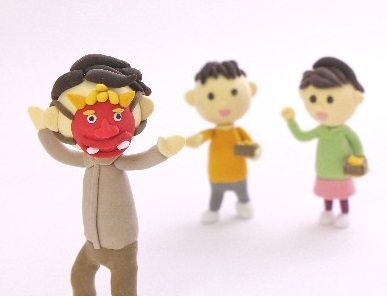 Setsubun isn’t a national holiday. 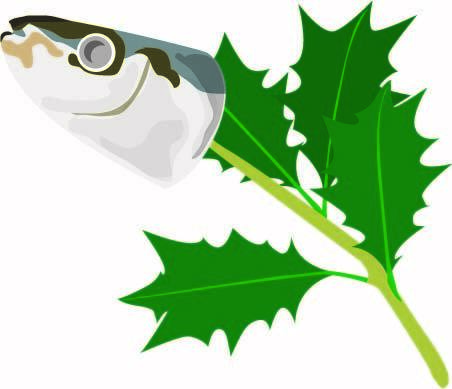 Some people eat grilled sardine and decorate its head part with a holly branch on outside their front door on Setsubun day because “Oni” doesn’t like them. It all depends on where you’re from or you currently live, but on Setsubun day, people normally do Mame-maki. 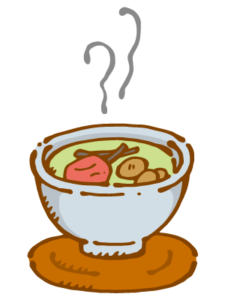 Some people believe that mame comes from the word mametsu which means drive away evil matter, in Kanji. It is said that the bean contains the evil of the previous year,and so it is roasted to prevent evil from sprouting. Then they eat the same number of beans as their age, and wish for good health. 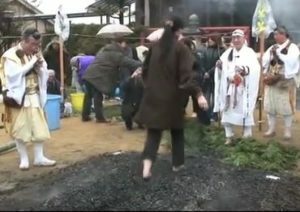 Traditionally, thepatriarch or the male person of the year（a person who was born in the same Chinese zodiac sign as the current year） took part in the practice, but at some houses, where there are especially young children, one of the family members (usually the father)performed as an “Oni”, and the kids throw beans at him to make him ran away. 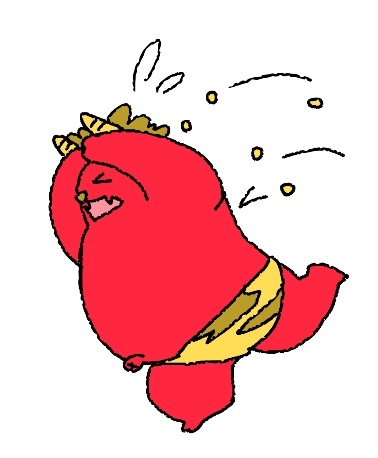 People in some regions scatter peanuts and eat them, because peanuts are easier to clean and pick up. 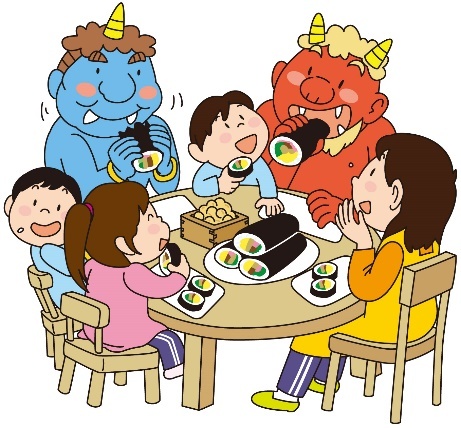 Eating “Ehou-maki” on Setsubun day is another traditional event which has become popular recently. ”Ehou-maki” is a sushi roll made from rice, cucumber, shiitake mushroom, eel and so on. 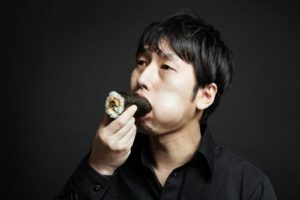 They say if you eat it facing the year’s happy direction while keeping quiet, you will become happy. 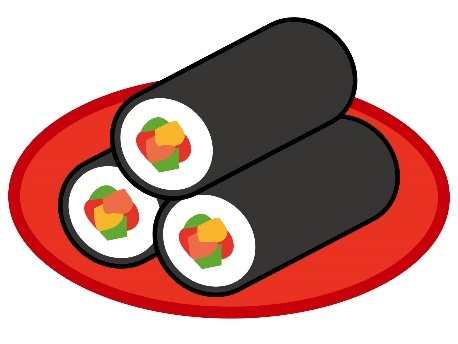 At first you face the year’s happy direction and eat an entire sushi roll without stopping. The attention point is that you shouldn’t speak anything while you eat the sushi roll, or your fortune will gone. Oni are a kind of “yokai”. They are gigantic ogre-like creatures with sharp claws, wild hair, and two long horns growing from their heads. 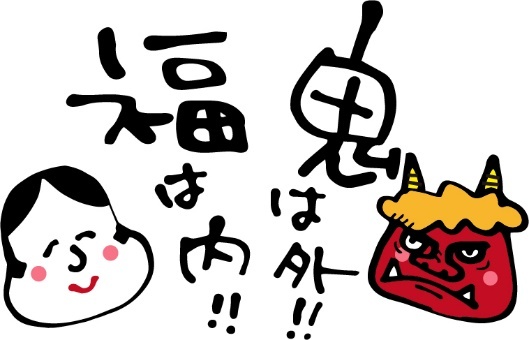 Oni are imaginary symbols of evil. 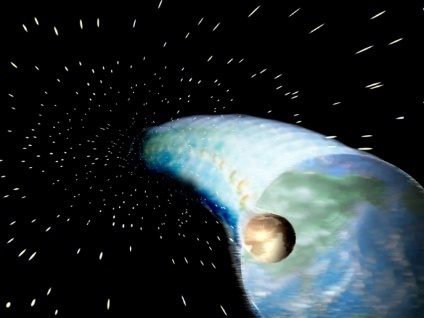 They have appeared in many historical writings and in folktales. 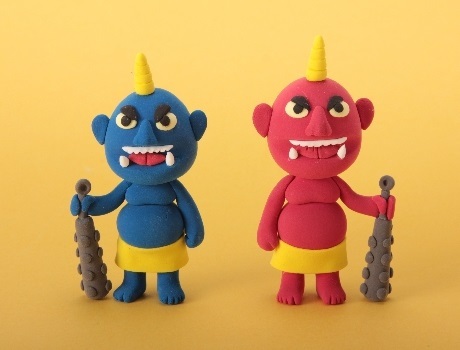 As generations passed, the notion of oni was influenced by on’yodo and Buddhism,and they took on a variety of forms. 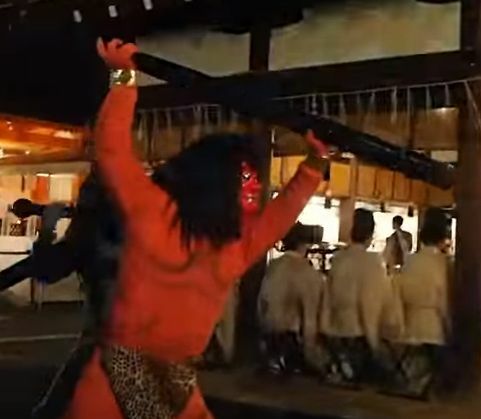 Generally, they are depicted as humans with horns and fangs, as naked but for tiger skin around their haunches, and as beings of herculean strength with fearsome facial features. 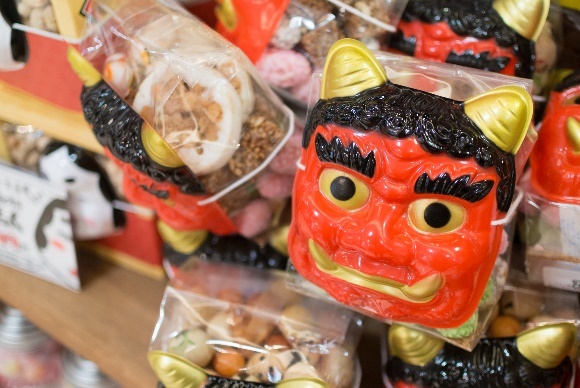 The bean scattering at the Setsubun is carried out to drive these oni out of home, and to invite good fortune in. The word oni is often used metaphorically in everyday life, for example, in tag, the one who is “it” is called oni and ruthless people are often compared to oni.